Our V-neck Warm Ups are great for school sports with the school name or mascot knit on each leg. 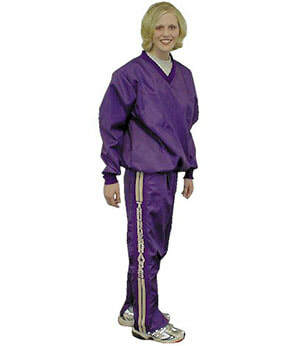 Both the jacket and pants are available in 200 denier nylon or antron fabrics. Both are flannel lined.